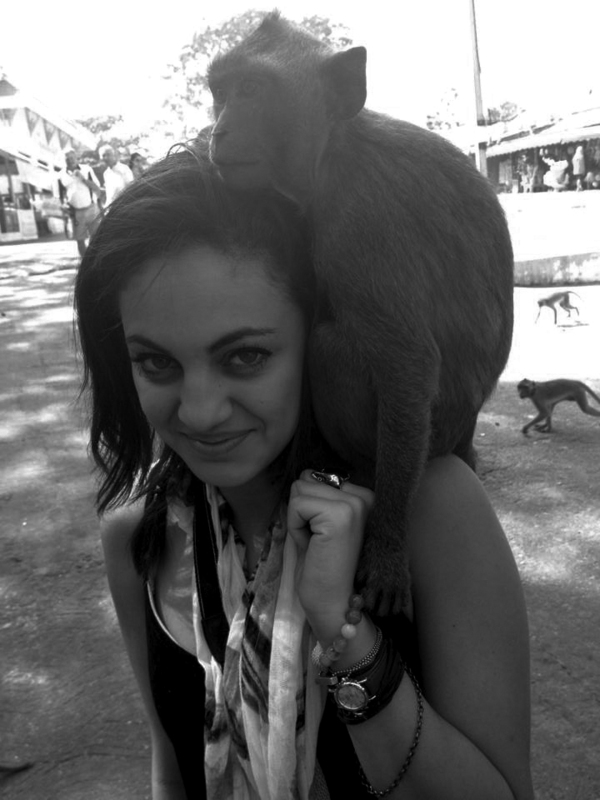 Contributed by Macy Salama A monkey perches on Macy Salama’s shoulder. Food sold by a local encourages the monkeys to get close. Although I wish I could stay in Thailand longer to appreciate more of its unique beauty, the time for me to return home is calling — my education is begging for it. Despite the classes available at this campus, there is little knowledge to gain and opportunity is minimal, especially compared to the resources the Webster Groves home campus provides. My appreciation for the home campus did not hit me until I experienced the classroom setting of another campus. The feel of the Webster campus in Thailand is similar to a high school. Students do the bare minimum, constantly preoccupied on their phones; passing is easy and learning is solely up to the individual. The classes are three hours long, once a week, but often get out about an hour early. The atmosphere, like the educational opportunity, is drastically different than the Webster home campus. Back home there are passionate teachers, multiple classes designed directly for specific majors, equipment to learn with and a spectrum of on-campus opportunity to learn from and participate in. The students are eager to learn. Considering my personal experiences, the professors and students at the St. Louis campus motivate me to work harder. Since being in Thailand, the experiences I have been through have made me a wiser individual. However, the knowledge I have received at the campus is trivial. The knowledge gained toward my major does not exceed what I have taught myself since being in Thailand. As much as I’ll miss the beauty of Thailand, the kind-hearted locals and the exotic animals, its time for reality to set in again. It’s time for me to work toward my passions and advance my education. I’m ready to put my red slippers on because, as cheesy as it may be, there really is no place like home.